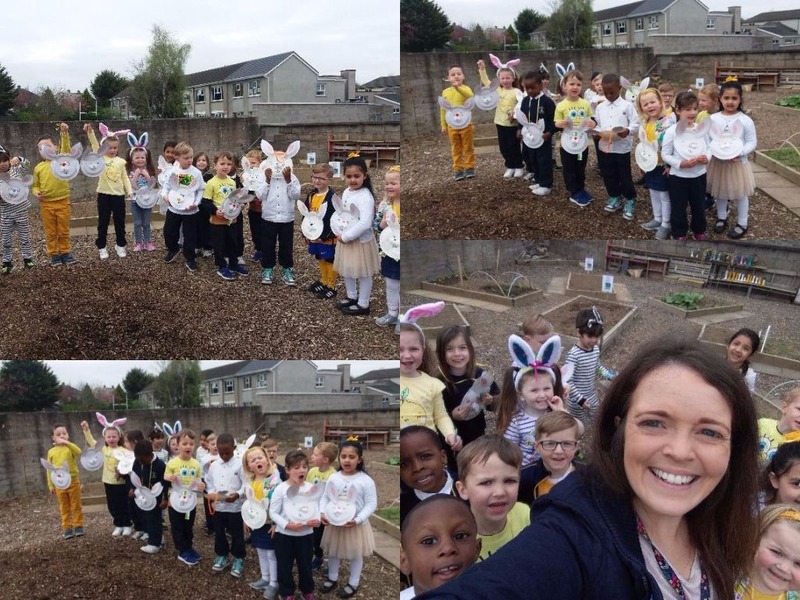 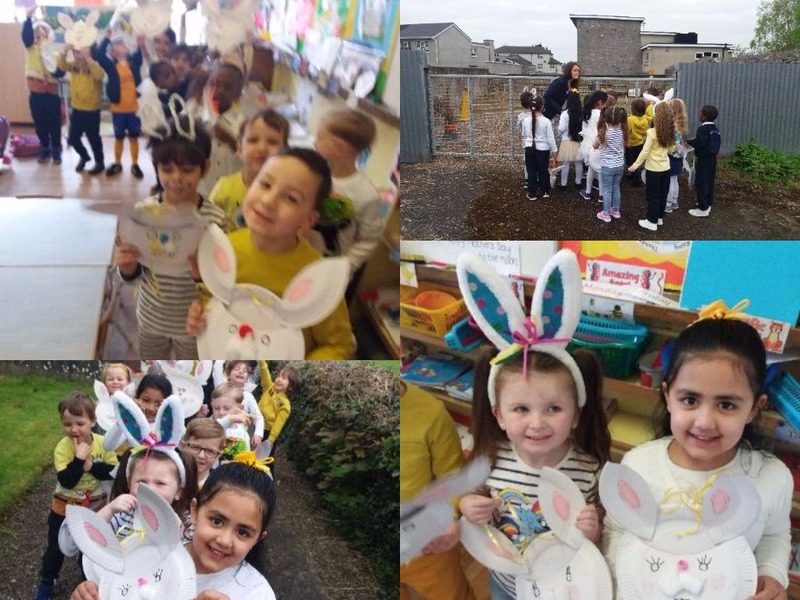 We arrived in school on Friday (the day of the Easter hols) to a very special surprise-a letter from 'the Easter bunny'. 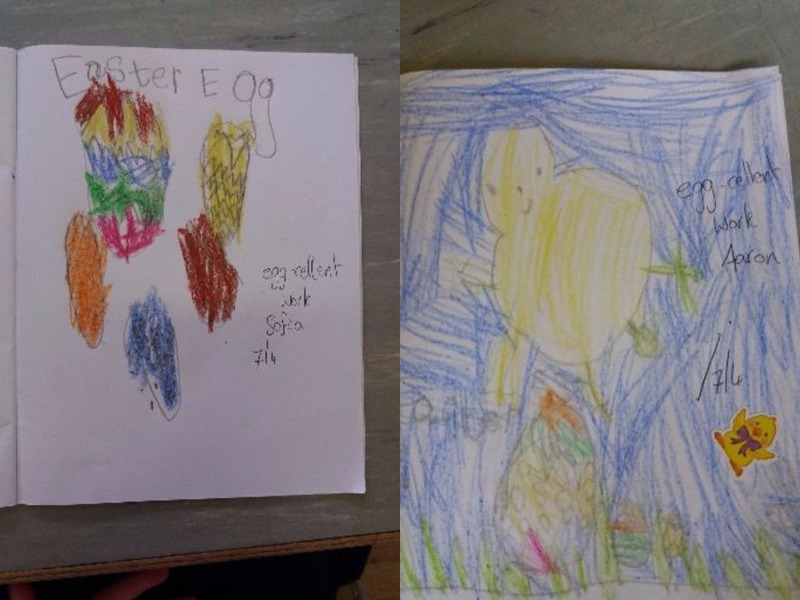 We were left instructions that we must follow. 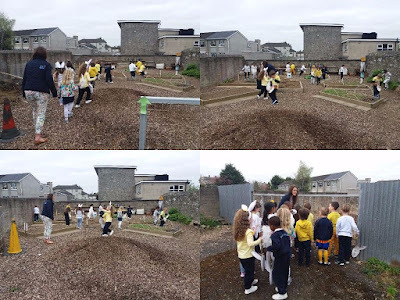 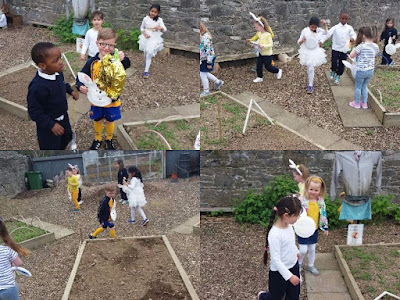 We followed the arrows that led us on an Easter egg hunt-we hopped all the way along with excitement. The gate to 'the secret garden' was open which gave us a big hint about where the chocolate must have been hiding. 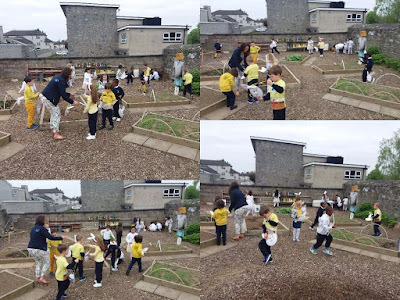 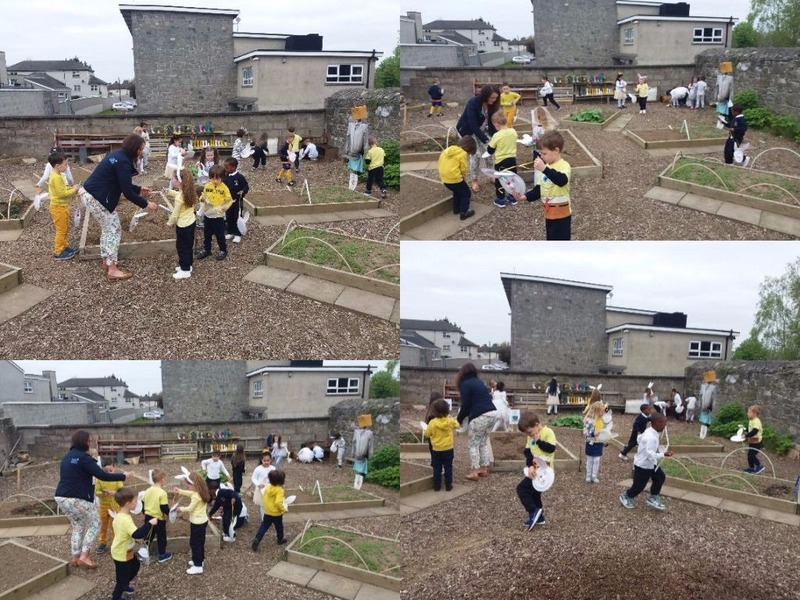 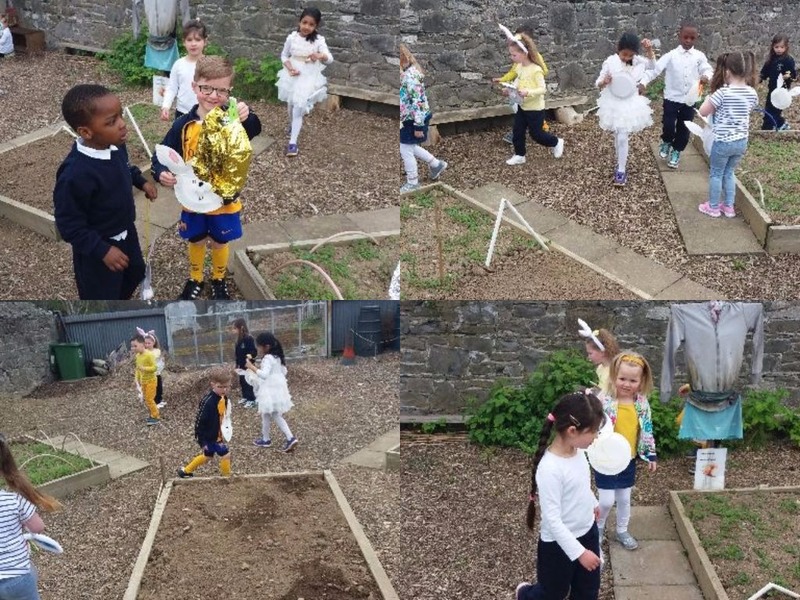 Earlier in the week, we had made bunny baskets which came in useful to carry our treats in :) Harry found a pot of gold in the garden with cool chocolate coins-we can't wait to gobble up all of the chocolate. 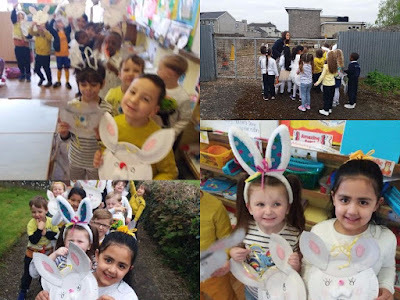 The Easter bunny had been watching us and knew how well behaved and hard working we were so well done to all the boys and girls-treats well deserved!